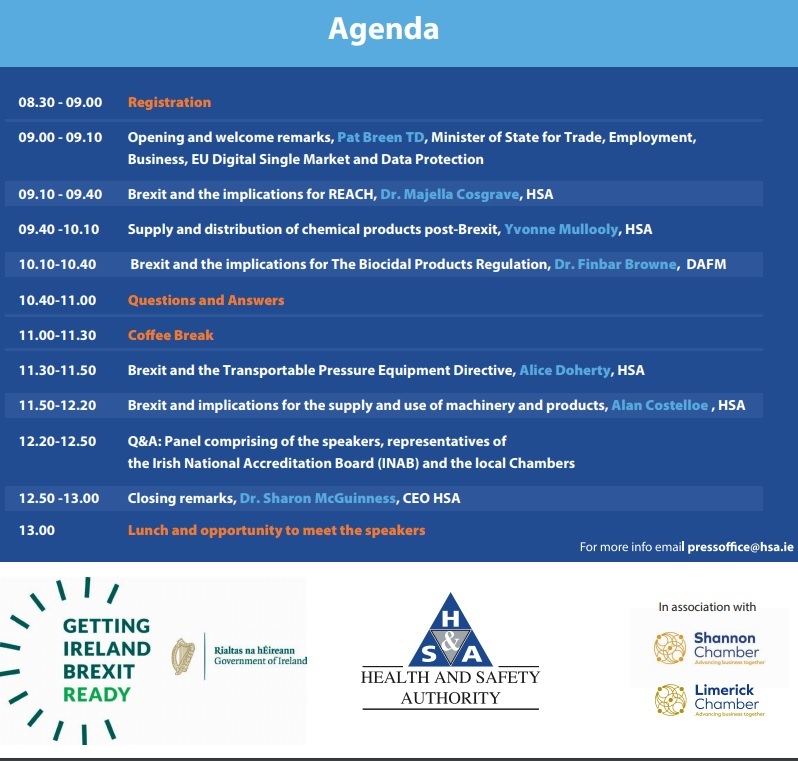 This seminar aims to inform Irish companies who use and supply chemicals of the possible implications of Brexit on their business. The seminar will also address the issues that may arise in relation to supply and use of machinery and other products. The speakers are experienced Health and Safety Authority (HSA) and Department of Agriculture, Food and the Marine (DAFM) inspectors. The combined knowledge and experience of the speakers makes this seminar an opportunity not to be missed. The seminar is free of charge but space is limited, so book here to ensure your place.